A fun combination of whitewater thrills and areas where the water is docile enough to jump in and go for a swim. This is perfect for a family adventure as well as for beginners. Wildlife abound in this section of the Balsa so keep an eye out for sloths, iguanas, howler monkeys, and a vast array of tropical birds. There is no better way to observe wildlife than floating down a river. There will be one stop for locally grown, organic fruits and another stop for an authentic Costa Rican lunch. 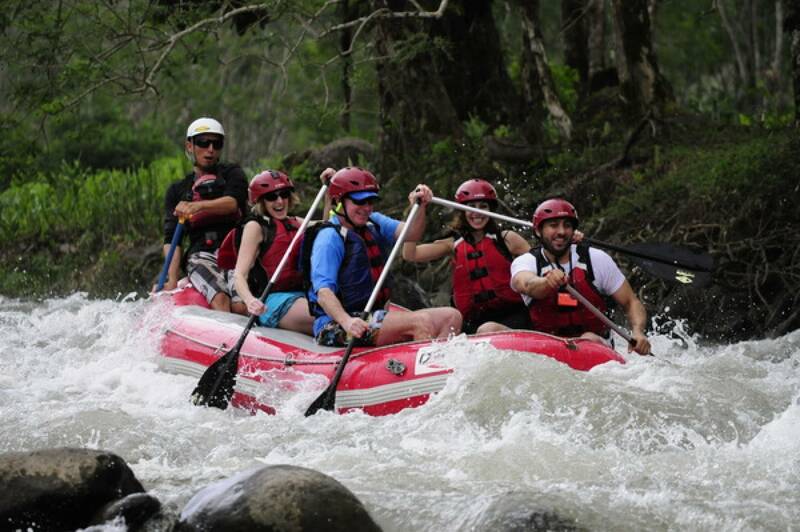 Balsa River is just 45 minutes from your La Fortuna hotel. This is the perfect rafting tour for first-timers, families with children, all nature lovers, outdoor enthusiasts, and people who are simply looking for a fun rafting adventure in Costa Rica! One of our friendly professional river guides will come by your hotel to pick you up. After you are picked up from your hotel, we’ll drive through the lush, green Costa Rican countryside to our private Operations Center right next to the river. We are the only company equipped with bathrooms and changing rooms for your convenience and comfort. We will get you fitted with your top-quality rafting gear such as an NRS helmet, lifejacket, and paddle. You will then be divided into groups of 4 or 5 paddlers -- we use high-quality 13-ft rafts that seat up to 5 people plus your guide in the back. Your professional guide will provide paddling and safety instructions to prepare you for your adventure! 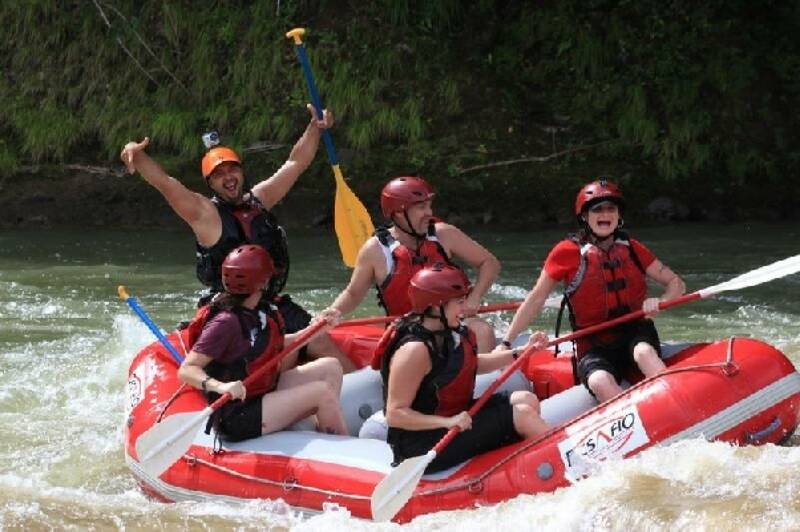 You will paddle down over 10 kilometers of continuous, exciting rapids with names like “Congo Loco” and “Rock around the Croc!” Rafting in Costa Rica is a little different than other parts of the world because our rivers have steep gradients with lots of rapids and are a little more technical and shallow, which makes for a fun ride on your rafting trip! As you descend down this beautiful class 2-3 river, you’ll have a chance to admire the lush greenery, vines, and different types of insects, birds, and animals -- your eagle-eyed guides will even point out the monkeys, sloths, and toucans along the way! About half way down the river your guides will provide you a smorgasbord of fresh tropical fruit as you relax with the rest of your group. Take a swim and immerse yourself in the wild nature around you!